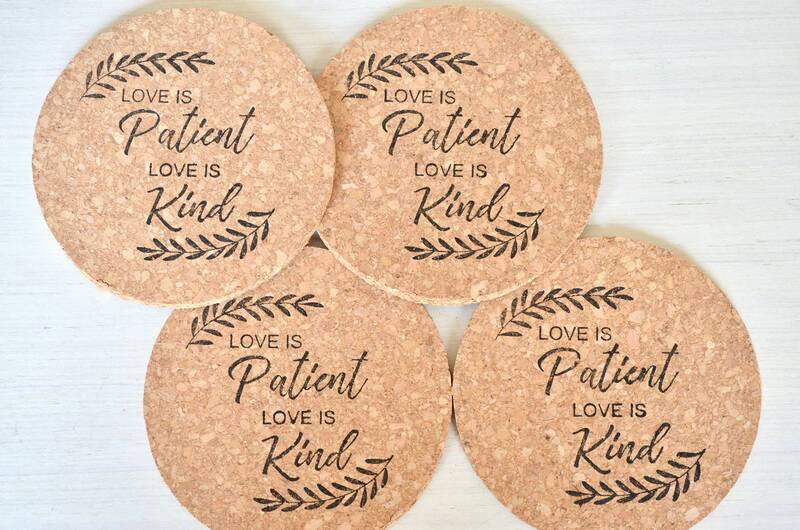 Love is Patient Love Is Kind - Coasters. Choose from sets of 4, 8, 12, or more! 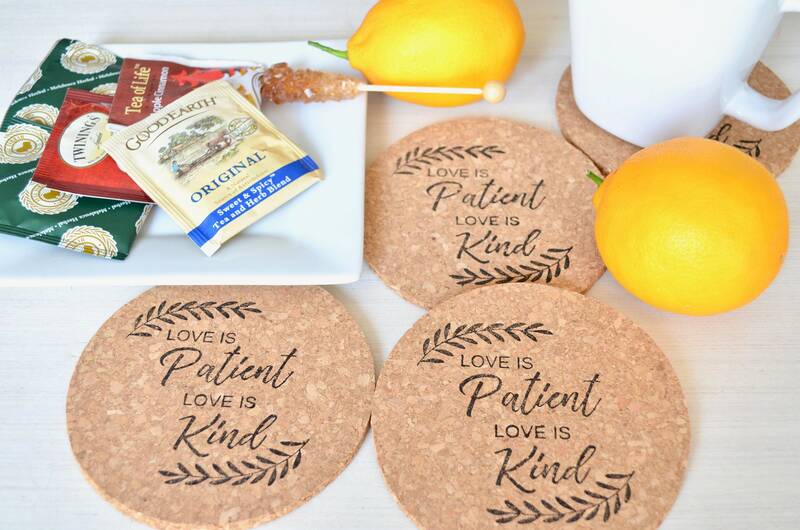 Perfect wedding favors, bridal gifts, or birthday gifts. 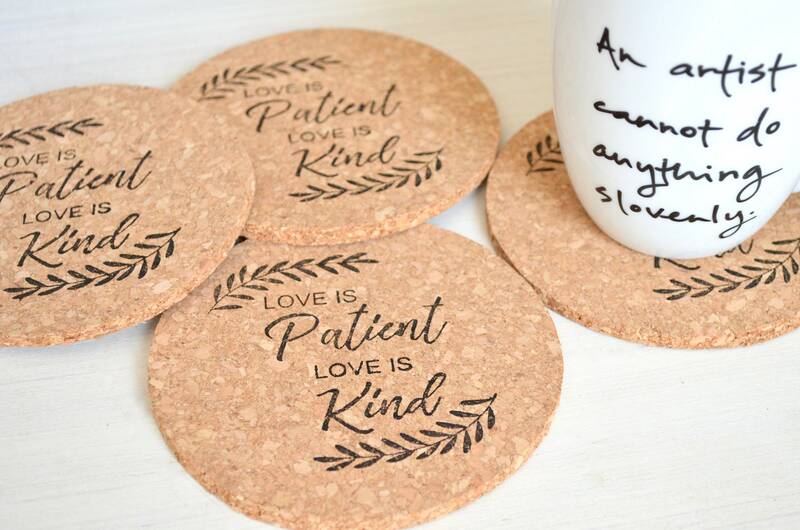 Each of these coasters is hand inked with the wonderful phrase, "Love Is Patient Love Is Kind". 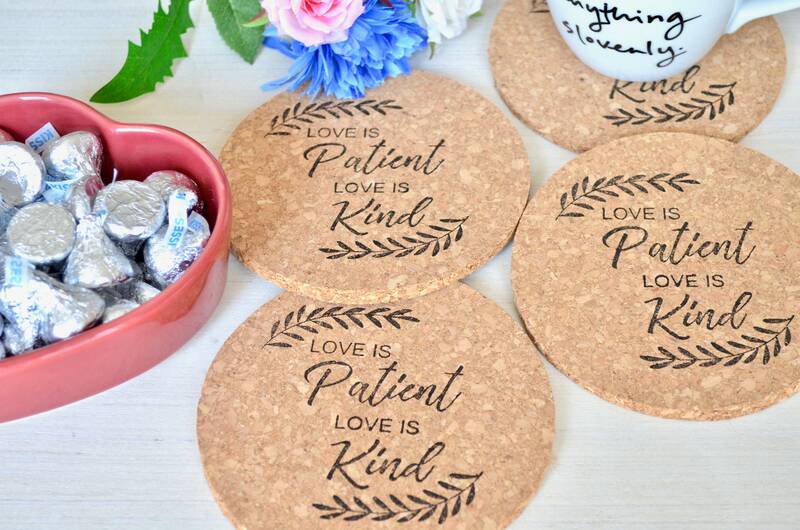 They make perfect wedding gifts or favors, birthday gifts, event decorations and more. Use the drop down menu to easily select the perfect quantity. If you are interested in bulk quantities, please contact us for special pricing and details. Each coaster is 4.5" wide and 5mm thick. Only the coasters described in this listing are for sale. Props NOT included. This item is handcrafted in our pet free, smoke free, peanut free studio. Some of them the print was really light like they ran out of ink so couldn't read the letters. But overall I like the coaster. Coaster are nice. I gave 4 stars as at least 4 of the coasters seem to have ran out of ink so the letters are faded. But good overall.